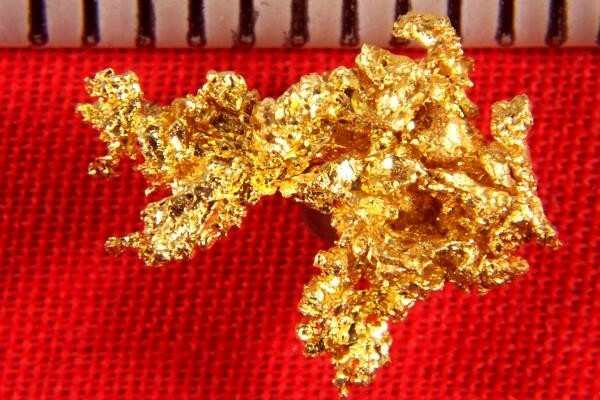 This gold nugget weighs 21.0 grains (1.36 gram) and is 1/2" long. It is a mass of gold crystals from the Ten Mile District in Humboldt County, Nevada. It is very rare to see gold nuggets from this area, and I have probably one of the best selections that you will find anywhere. 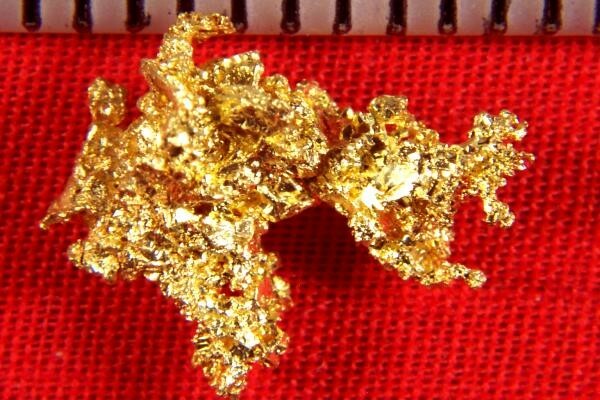 I bought these crystalline gold nuggets years ago and haven't seen any more for sale since.